Greetings to you, it's Alicia today to host the blog for you. 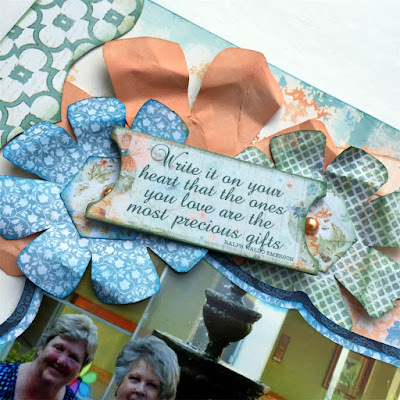 I am so excited today to show you my first project with the latest Quick Quotes paper collections! I actually got to work with the new lines at the Quick Quotes Mini Reserve in Toledo a couple of weeks ago. I am enamoured with all the new lines and how well they coordinate. 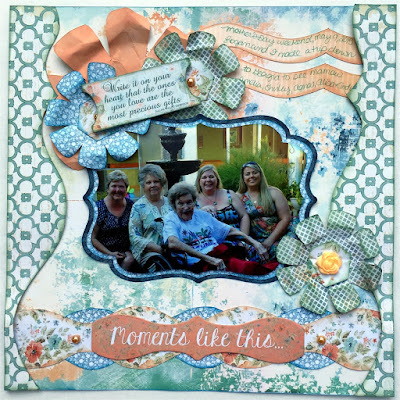 I primarily used the Farmhouse collection with a few papers from Anchors Aweigh. I just knew this photo from Mother's Day would look gorgeous with the colorful but soft background paper. I used templates to create the flowers and borders. Although I used various sizes of flowers and a pearl in the middle, they seemed to need something else. I punched a floral piece of paper with not a circle but a HEX to give the flowers a little more interest. You just can't go wrong adding one more layer or one more small detail. It will usually give your project more dimension. I am a fan of dimension without too much bulk. For instance, I crumpled my flowers a bit and chalked again to highlight the distress. 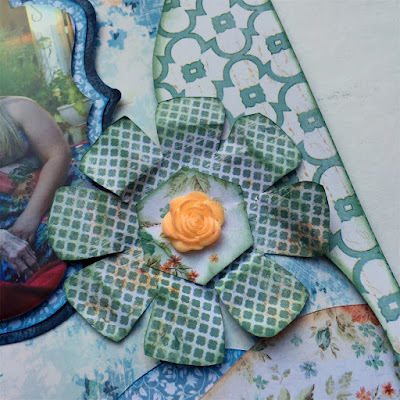 I even distressed the resin flower I used for this flower center.